Colorado Family Eye Center-Stapleton offers comprehensive optometry services providing patients throughout the metro area with state-of-the-art eye care services for the whole family. Because patient satisfaction is our top priority, we provide the hands-on care required to meet your vision and eye health needs. Children’s Eye Physicians specializes in the diagnosis and treatment of ophthalmologic conditions in children and adult strabismus. We hope this site will help you learn more about your child’s eye care concerns and about the specialized services Children’s Eye Physicians provides. Have you been told there is nothing that can be done to repair the alignment of your eyes? Our extensively trained and qualified physicians have provided hope and restoration to many just like you. Our patient-centered care is customized to fit your specific needs and discuss the available treatment options. Get 20% OFF a complete 2nd pair of glasses (some exclusions apply). See optician for details. 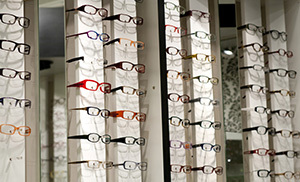 Don’t forget you can use your flexible spending account in our optical shops. Our Optical locations accept Eye Med, Spectera, VSP, and Medicaid. Beginning February 1, 2019, Dr. Adrienne Ruth has been hosting a Pediatric Ophthalmology / Adult Strabismus clinic in the Boulder area in partnership with Boulder Eyes. CEP is now offering Boulder office services on the 1st and 3rd Tuesdays of every month. Children’s Eye Physicians and The Colorado Center for Eye Alignment is pleased to announce the addition of Rachel Reem, MD to its Pediatric Ophthalmology and Adult Strabismus specialist team in February 2019. Originally from Illinois, Dr. Reem looks forward to moving closer to Colorado’s beautiful mountains and we are looking forward to welcoming her into our practice. She completed her medical degree at the University of Illinois College of Medicine at Rockford, a Post-Doctoral Research Fellowship at Case Western Reserve University in Cleveland Ohio, and Ophthalmology residency at The Ohio State University Wexner Medical Center, followed by a fellowship in Pediatric Ophthalmology and Adult Strabismus at Nationwide Children’s Hospital in Columbus, Ohio. Dr. Reem is an esteemed member of the American Academy of Ophthalmology and the American Association for Pediatric Ophthalmology and Strabismus, as well as the Association for Research in Vision and Ophthalmology and the Pediatric Eye Disease Investigator Group. Complementing Dr. Reem’s accomplished training and career, her superpower is making an eye exam fun for children. In her free time, Dr. Reem enjoys traveling, cooking, gardening, and spending time outdoors.